We had another great weather day for flying this past weekend. The temps were in the 60's in the morning and 70's in the afternoon with very little wind in the morning and then picking up a bit as the day went on. We had another small crowd; by my count, somewhere between 50 and 60 people; but we did have some first-timers. I know they enjoyed themselves and hope they return. We had 153 flights from 1/4A through H. And if we tally the 29 motors in Boris's Nitro Fireball, then it is through I. There were no certification attempts. Pictures are in the Gallery, please post yours! We did have a larger than normal number of CATO's - Estes E12's and E9's, with one rocket seeming to have all 3 clustered E12's CATO. 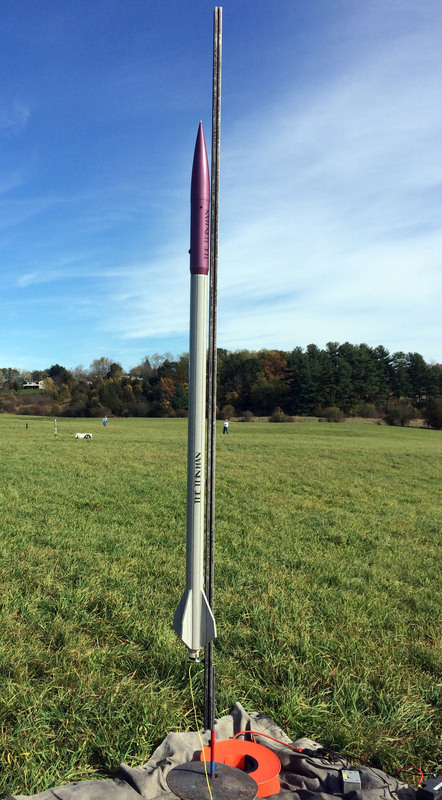 Scott Clement treated us to his (ever-growing) collection of Halloween Rockets. I flew my 4 L Cylinder and Bronx Bomber (maybe I did jinx the Yanks!). But the highlight was definitely the Nitro Fireball. All motors lit and seeing the cluster of 6 small rockets launching from the main sustainer was really neat. And as always, thanks to all that volunteered. 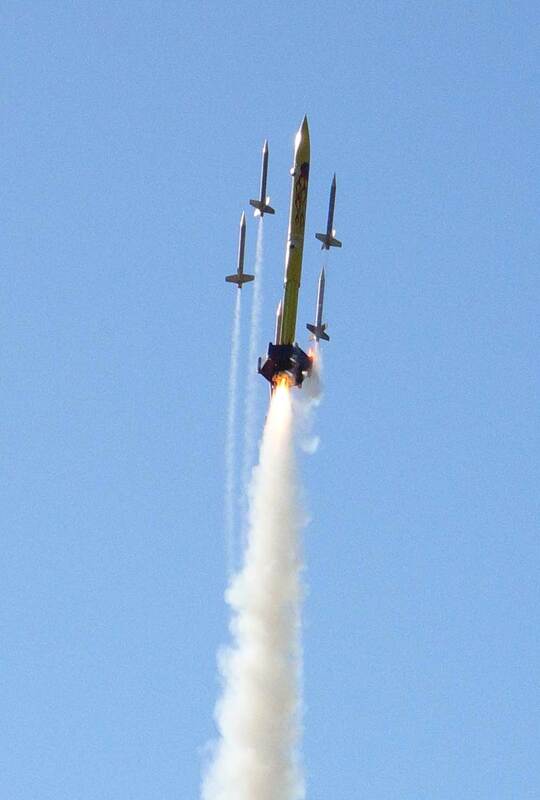 Our next launch (penultimate of the season) is Nov. 4th in Amesbury.